1:12 a.m., trespasser, 200 block of Rose Street, Williamsport. 1:43 a.m., disturbance, 90 block of Park Place, Muncy Creek Township. 11:28 a.m., hit and run, 400 block of West Sourthern Avenue, South Williamsport. 11:40 a.m., theft, 1900 block of Lycoming Creek Road, Old Lycoming Township. 1:16 p.m., harassment by communications, 400 block of Lycoming Street, Williamsport. 2:20 p.m., disorderly conduct, 600 block of West Fourth Street, Williamsport. 2:50 p.m., fight, 500 block of Cemetery Street, Williamsport. 3:24 p.m., shoplifter, 200 block of William Street, Williamsport. 4:37 p.m., trespasser, 600 block of Hepburn Street, Williamsport. 5:08 p.m., theft, 300 block of Lycoming Mall Circle, Muncy Township. 5:16 p.m., theft, 1200 block of West Fourth Street, Williamsport. 5:23 p.m., theft, 1100 block of West Third Street, Williamsport. 6:15 p.m., theft, 70 block of Cottage Street, Hughesville. 6:52 p.m., disturbance, 1200 block of West Southern Avenue, South Williamsport. 7:00 p.m., shoplifter, 1200 block of West Sourthern Avenue, South Williamsport. 7:25 p.m., reckless/intoxicated driver, 400 block of South Route 220, Williamsport. 7:57 p.m., disorderly conduct, 100 block of Antes Fort Main Street, Nippenose Township. 10:50 p.m., disorderly conduct, corner of Diamond Street and Federal Avenue, Williamsport. 11:10 p.m., disorderly conduct, 200 block of Locust Street, Jersey Shore. 2:03 a.m., disturbance, 600 block of Second Street, Williamsport. 3:51 a.m., disturbance, 500 block of Brandon Avenue, Williamsport. 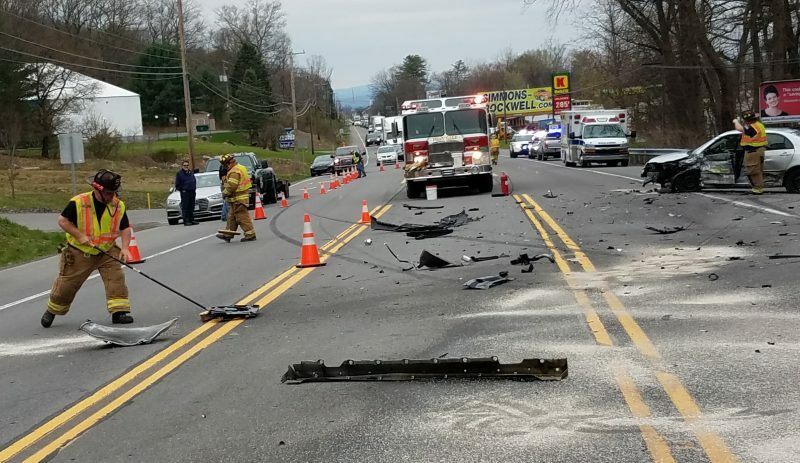 7:09 a.m., hit and run, 1100 block of South Route 15, Williamsport. 10:43 a.m., theft, 1600 block of Memorial Avenue, Williamsport. 2:17 p.m., harassment by communications, 400 block of Old Route 220, Piatt Township. 3:19 p.m., harassment, 2600 block of West Fourth Street, Williamsport. 4:09 p.m., harassment, 300 block of South Main Street, Jersey Shore. 4:25 p.m., harassment, 1200 block of Allegheny Street, Jersey Shore. 4:50 p.m., disturbance, 100 block of Hendricks Lane, Nippenose Township. 5:23 p.m., disturbance, 300 block of North Loyalsock Avenue, Montoursville. 7:41 p.m., reckless/intoxicated driver, 400 block of School House Road, Clinton Township. 7:47 p.m., fight, 80 block of Sherman Street, Muncy. 8:29 p.m., disturbance, 400 block of River Avenue, Loyalsock Township. 8:48 p.m., reckless/intoxicated driver, 13000 block of Route 180, Muncy Creek Township. 9:15 p.m., disorderly conduct, 100 block of West Water Street, Muncy. 1:54 a.m., trespasser, 200 block of South Washington Street, Muncy. 6:05 a.m., criminal mischief, 600 block of Sixth Avenue, WIlliamsport. 9:11 a.m., criminal mischief, 700 block of Second Avenue, Williamsport. 9:29 a.m., disturbance, 600 block of Third Avenue, Williamsport. 12:18 p.m., harassment, 400 block of Hawthorne Avenue, Williamsport. 1:11 p.m., harassment, 1200 block of Southern Avenue, South Williamsport. 1:22 p.m., criminal mischief, 100 block of Pine Creek Avenue, Porter Township. 1:42 p.m., theft, 30 block of Eyer Street, Porter Township. 2:14 p.m., reckless/intoxicated driver, 600 block of South Broad Street, Porter Township. 2:25 p.m., harassment by communications, 300 block of Old Route 220, Piatt Township. 2:31 p.m., trespasser, 300 block of Bridge Street, Williamsport. 4:46 p.m., theft, corner of Newberry and Poplar streets, Williamsport. 4:46 p.m., harassment, 900 block of Sherman Street, Williamsport. 5:38 p.m., disturbance, 500 block of Lycoming Street, Williamsport. 8:17 p.m., reckless/intoxicated driver, corner of East Central Avenue and Hastings Street, South Williamsport. 8:26 p.m., criminal mischief, 200 block of College Avenue, Williamsport.